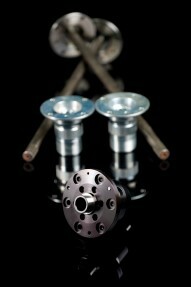 These are designed to work with either drum or disc brakes on the rear. Chrome alloy half shaft for the Midget. Wire wheel hub for a chromalloy half shaft. Ultimate spec fine spline half shaft for the Midget. Reduces wheel spin, increases cornering speed ability and gives a far more consistent drive. While allowing you to drive around corners normally, it also allows you to use the power when you want.